After 8 months' hard working the Innokin's engineering team and designers with the Evolv technology, a leading American producer of the finest technologically advanced microchips, finally bring us the precision cutting edge 20W Personal Vaporizer. Kept the sleek simplistic design concept of the former iTatse SVD, SVD 2.0 is unique with its overwhelmingly stylish looking and all stainless steel body and the interchageable battery tube and thread adapter. You will not only surprised by the joint design and technology advances, but the similar high grade stainless steel build with the now famed iTaste VTR. 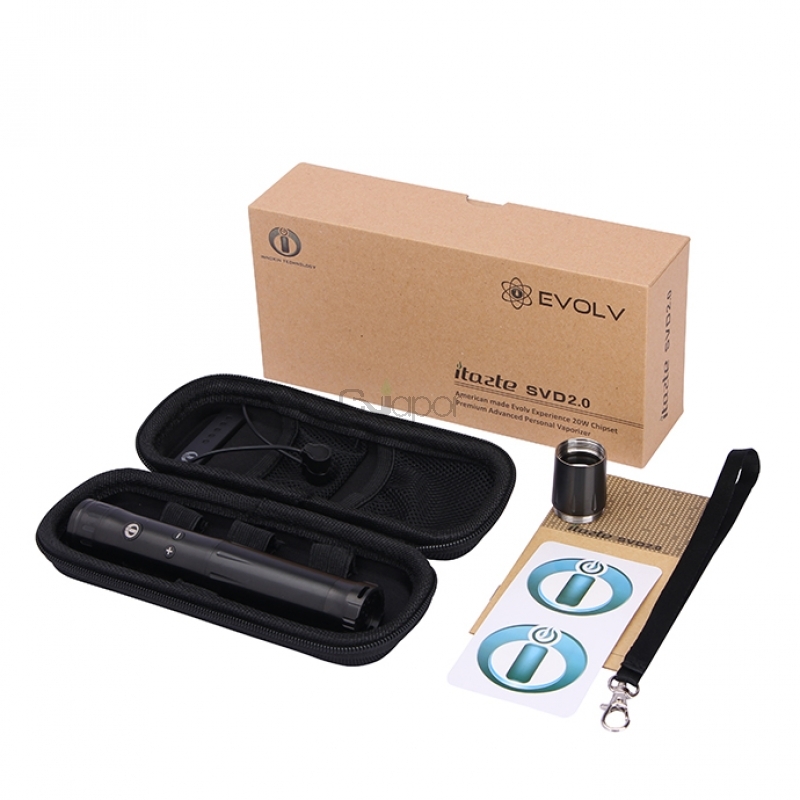 The itaste SVD 2.0 increase in power compared with former models to a maximum of 20 watts. The smart shower proof carry case is a very nice addition too, including a lanyard, making it safer to transport your SVD on journeys outside of the home environment keeping it well protected, and allowing you to carry some additional spares with you just in case you need them. 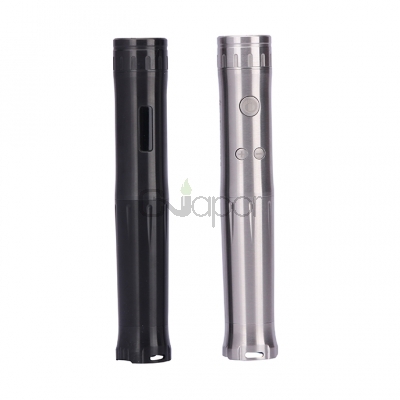 Its size allows for the inclusion of three additional 18350 batteries or two 18650 batteries with extra pockets for atomizers and building supplies. The iTaste 2.0 with modular design creates greater flexibility to how you personally choose to vape without incurring the cost of two separate devices to do so in a size that best suits you. A new centre pin has also been included with an advanced and durable spring mechanism allowing for perfect fitting of all current major tanks according to Innokin. And all three function buttons have been designed to be water resistant and are placed on the reverse side of the OLED screen. The SVD 2.0 comes with reverse polarity protection as well as a 25 second cutoff safety feature to protect the DNA Experience microchip and the battery from an incorrectly inserted battery. For a more comprehensive look at all the included features view the detailed manual included with your device. 1. 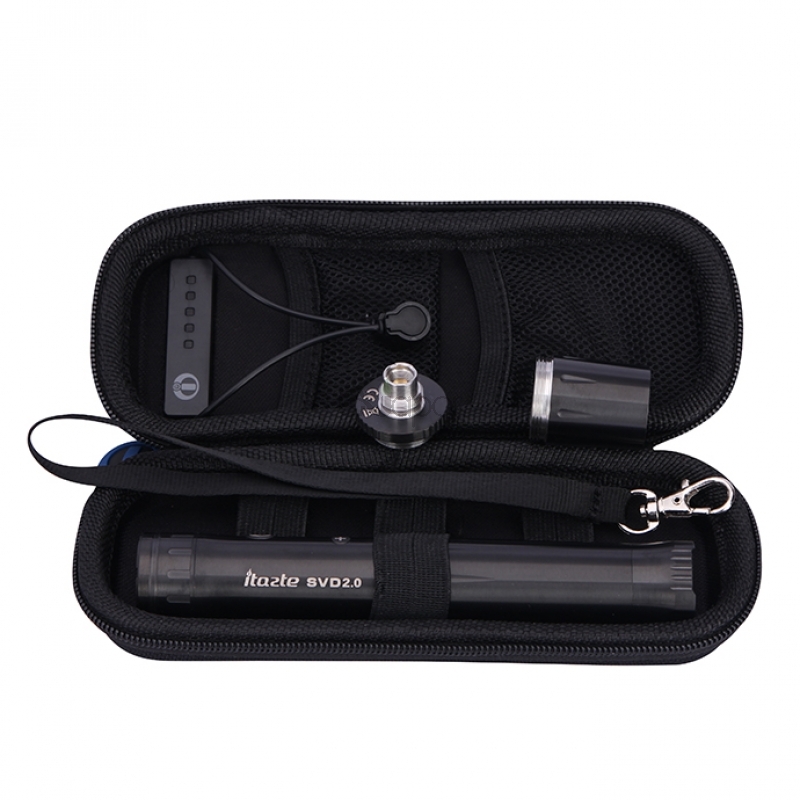 Variable Wattage: Wattage can be adjusted from 5.0 – 20.0W in .1 watts increments by pressing “+” and “‐” button. 2. Short Circuit/Atomizer Protection (0.5 Ohm): protects the iTaste SVD2.0 Advanced Personal Vaporizer against shorted atomizers and will stop the unit from functioning in unsafe conditions. 3. Reverse Polarity Protection: If the battery is inserted properly the device will not fire and the chip will not become damaged. 4. Overheat Protection: The screen will display “TOO HOT” if the PCB overheats from overvaping. 5. 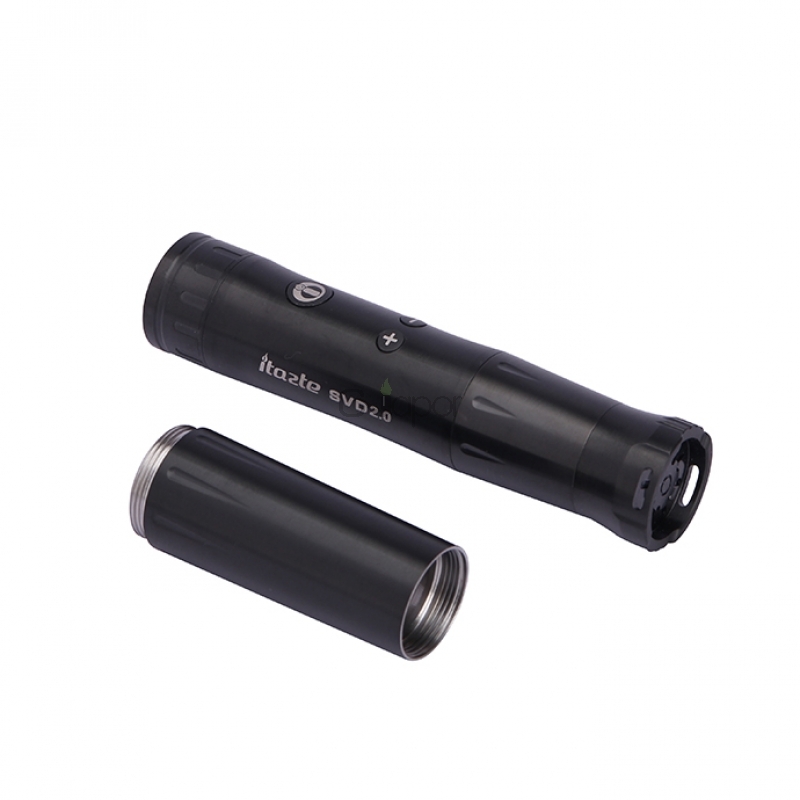 Reset function: When the battery voltage very low the iTaste SVD2.0 will reset. 6. 25-Seconds Cutoff: If the button is held down for 25 seconds or longer, the iTaste SVD2.0 will automatically power off until the button is released and pressed again. 7. 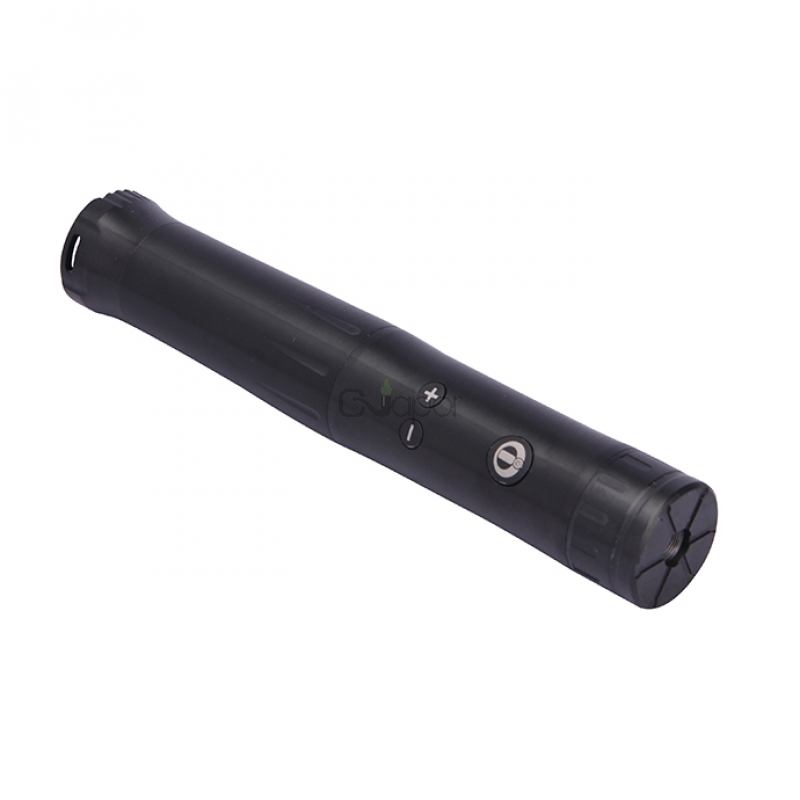 Telescopic Tube supports 18350 and 18650 batteries. 8. 510 and ego threaded. 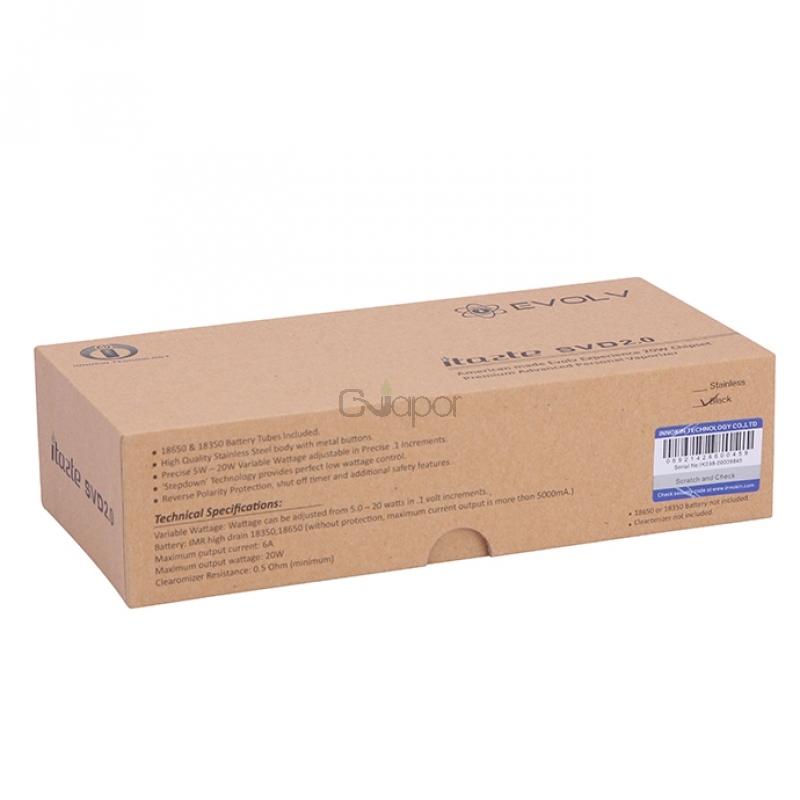 1) Locate and Scratch to reveal your iTaste SVD2.0 Unique Authorization number which is included on a label on the reverse of the packaging. 2) Visit the Official Innokin Technology website at http: //www.Innokin.com. 3) Enter the Unique Authentication number in the Authentication field. 4) Verify your iTaste SVD2.0 is a Real Innokin Technology.